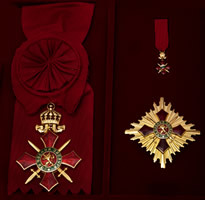 Foreigners also may be awarded the Stara Planina - heads of state and heads of government, ministers, politicians, public and cultural figures who have an exceptional contribution to bilateral relations with the Republic of Bulgaria and the development of international cooperation in strengthening security and peace among nations, and to protect the rights and freedom of humankind. The Stara Planina without ribbon has no degrees. 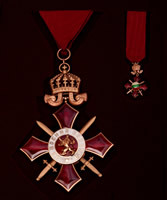 It is awarded to heads of state, prime ministers and, in exceptional cases, Bulgarian citizens as well. 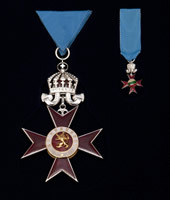 Along with the Order, the Star of the Order is conferred. 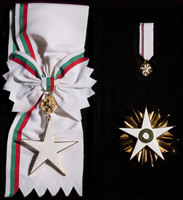 The Stara Planina without ribbon is awarded to ministers, diplomats, political and social activists, cultural activists, military personnel, members of the clergy, media as well as bearers of other Bulgarian and foreign orders. This order has two levels - first and second, and two categories - with swords (the military) and without swords (civilians). 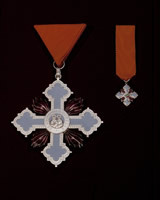 The Order of St. Cyril and Methodius is awarded to Bulgarian and foreign citizens who have made a significant contribution to the development of culture, art, education and science. 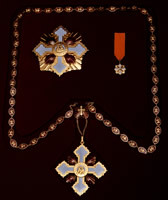 The Order has the following degrees: pendant, first grade - gold with orange ribbon, second degree - silver with orange ribbon. 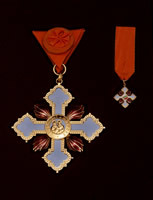 The Order of St. Cyril and Methodius pendant is an especial award for people who have made significant contributions to the development of culture, art and science. 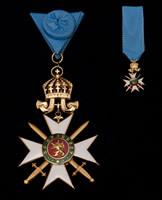 The Order of St. Cyril and Methodius - first degree is awarded to people of great merit in the fields of culture, art, education and science. The Order of St. Cyril and Methodius - second degree is given to educators, cultural activists and people involved in community centre work. 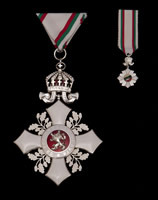 The Public Service Order is awarded to Bulgarian citizens who have greatly contributed to the development and strengthening of civil society, strengthening of democratic institutions and human rights and freedoms, and contributed to defence, security and public order in the Republic of Bulgaria. 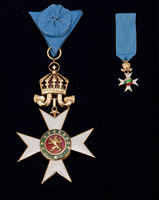 The Order has two levels - first and second, with a white band with the Bulgarian national flag. The Military Service Order is awarded to Bulgarian and foreign citizens who have greatly contributed to the development and strengthening of the Bulgarian army's participation in peacekeeping and humanitarian operations, and exemplary long service and contributions to the protection of national security and public order in Bulgaria. 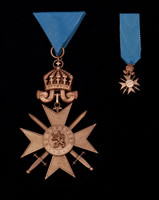 The order has one category - with swords, and three degrees. 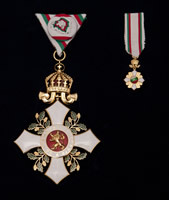 The Order of the Madara Horseman is awarded to Bulgarian and foreign citizens who have made an especially significant contribution to the establishment, strengthening and development of bilateral relations with Bulgaria. The order, with a bar of the Bulgarian tricolour, has two levels - first and second, and two categories - no swords (civilians) and swords (the military). The Bravery Order is awarded to military and civilian personnel for bravery and heroism to the benefit of Bulgarian society and the state. 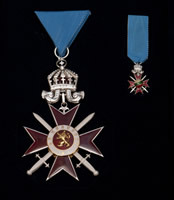 The Order has three degrees - first, second and third, and two categories - with swords (the military) and without swords (civilians). - In the third degree – non-commissioned officers and private soldiers. 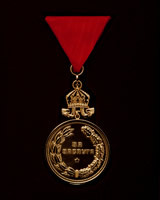 The For Merit Medal is given to Bulgarian citizens for excellence in various areas of public life - culture, science, education, defence and national security, health, sports, the strengthening and development of civil society to strengthen democratic institutions and protection of human rights and freedoms against disaster and environmental as well as personal courage shown. 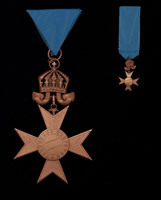 The For Merit Medal Gold is circular and has one degree.